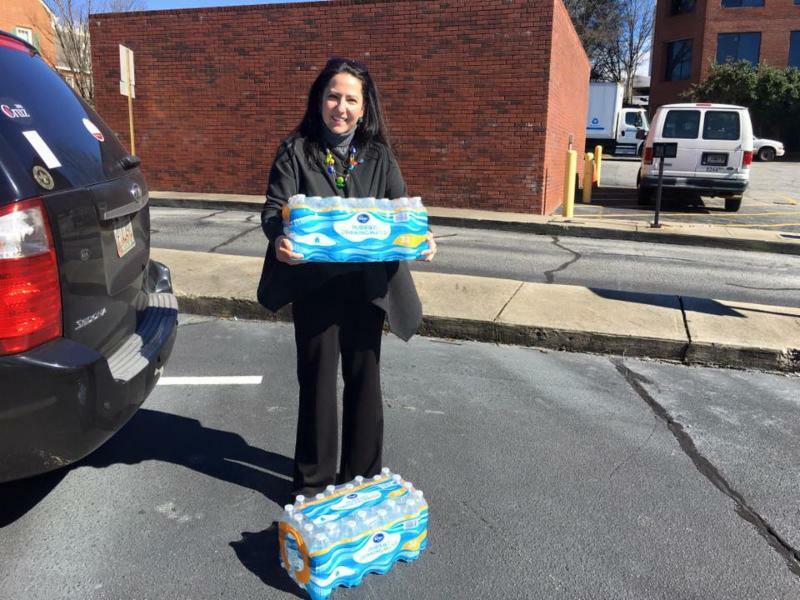 BOTTLED WATER DRIVE FOR FLINT, MICHIGAN!!! Donate bottled water for the Flint, Michigan community. The DeKalb County Department of Watershed Management (DWM) has launched a comprehensive, multi-phased Priority Area Sewer Assessment and Rehabilitation Program” (PASARP) to assess and rehabilitate sewer lines throughout the county. These activities will encompass about one-third of the DeKalb’s sewer lines. Smoke testing and other assessment activities will be conducted by contractors through January 2018. DWM will host a series of informational community meetings focused on PASARP activities scheduled to take place in area neighborhoods. The informational community meetings are free and local participation is encouraged. 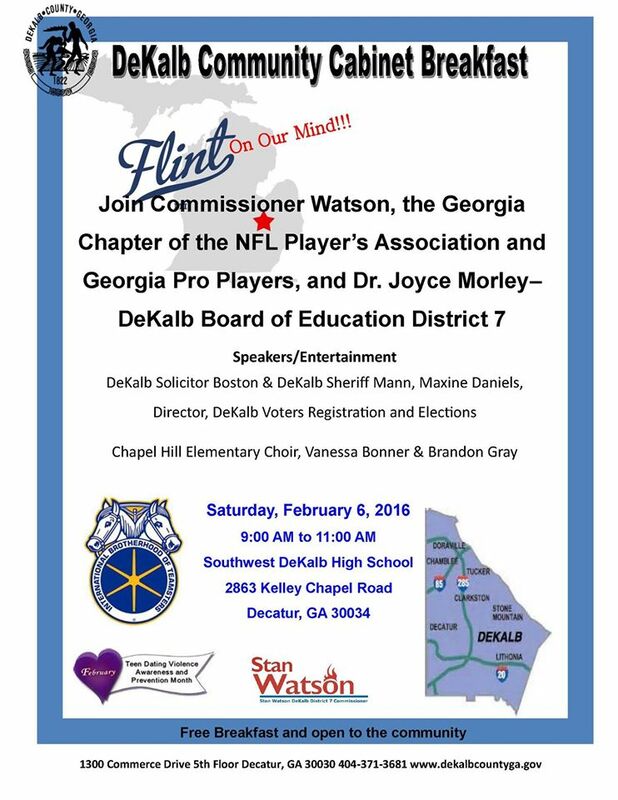 * Commissioner Jester has a prior commitment but attended this meeting last night in Dunwoody. For more information, please visit DWM’s Consent Decree website at http://www.dekalbconsentdecree.com. You may also call the dedicated Project Hotline at 1-800-986-1108. The Committee of the Whole and Full BOC meetings start at 9.00am. The zoning meeting starts at 6.30pm. All meetings are at the Maloof Auditorium 1300 Commerce Drive in Decatur.